First, I have a hundred locations to link, I need to see if I can use it now, how to view it, because some links will be displayed (sorry, this page is not available. Third, an account, how many pieces of information can be collected in 24 hours. Martin, I beg you, can tell me, I have tried to watch videos, including my own research, and even friends who are in English, but because of the ignorance of English, and the English-speaking friends do not understand computer terminology, it has not been successful. I have seen this page of scraper a lot, but it has not been successful before. It often appears that an account has been obtained, but the remaining 199 accounts are unsuccessful. I hope that you can patiently tell me if you can send a screenshot to my email and tell me. How to collect the location location link and how to collect the label. Finally, I thank the great Martin again. 362558638@qq.com This is my email address. Because of the time difference between us, the communication has been taking a long time, I am very anxious. First, I need to search through hashtag to find out how many people are near this hashtag. For example, China, the word has 2558847 posts, so how many people post the word, I need to collect the user name, personal signature. --- Of course, if you can, I hope to get this hashtag for 1 hour, or how many people post in 24 hours. Second, I need to get the number of people nearby by geotag. For example, https://www.instagram.com/explore/locations/213193384/ , this address, the number of people I need to get this address. Collect user name, personal signature. --- Of course, if I can, I hope to get this address for 1 hour, or how many people post in 24 hours. Third, according to the operation of the current software, an account number, how many user names can be collected every day. ---- Fourth, I have been researching on the scraper page, but a lot of English is not very understandable, and the translation is not very accurate. Can't understand correctly. I need to collect a lot of information. If you only choose one account to collect, this is too slow. Is there any way to operate two hundred accounts together? In addition, I need an account to run a word. And the execution item only executes one at a time. It is not possible to perform multiple tasks like this at once. There is another one, I am very satisfied with the data collected now, but I am worried that if I collect too much, it will easily cause the software to be very card. I don't need data that I don't use. I only need username, attention, volume, and follow. How can I adjust? 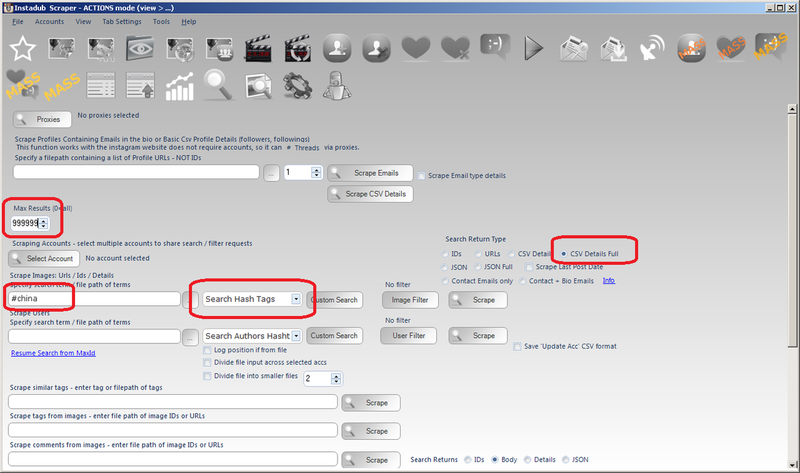 etc, then enter the filepath of the file as the search input, this will bulk create multiple searches quickly. 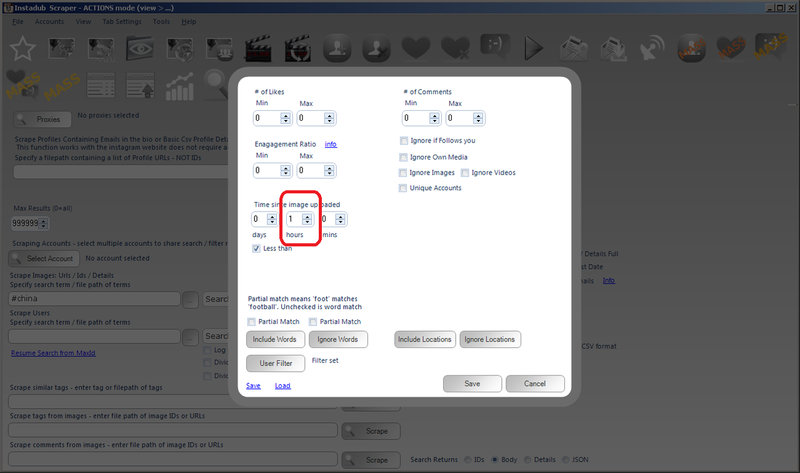 hen enter the filepath of the file as the search input, this will bulk create multiple searches quickly. If you select 10 accounts, then the 10 accounts will share all requests required to perform the search------Sharing execution, will there be repeated collection? Second, how fast is the acquisition speed. Execution items are executed slowly, such as 10 accounts. I hope that 10 execution items can be executed together. searching will only execute one page at a term.